Its Easter time. At Chandoo.org, I have tradition of publishing Easter Egg hunts since 2009. This is the first time our Easter egg hunt is on Power BI. Changing times, eh? We all know that VLOOKUP can find first match and return the results. But what if you want all the matches? Use this simple trick instead. 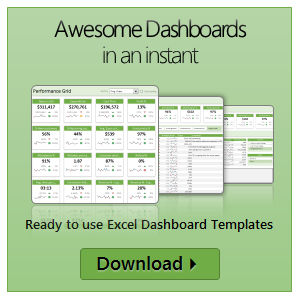 Excel has hundreds of formulas. But as a new learner or user, you may want to just focus on top 10 formulas to get the most out of it. Assuming you already know the basics (check out Beginner Excel page if you are complete newbie), here is a list of top 10 Excel formulas for you. Create dashboard tiles, something like above. Hiya folks… just a quick update on whats keeping me busy this year, with a bonus Excel tip at the end. Take a sip of your favorite brew and read on. Work in HR and use Power BI? You are going to love this extensive, powerful and useful Employee Turnover Dashboard. In this detailed article, learn how to create your own attrition dashboard system with Power BI. Full example workbook, video and sample data included.